Here's a return customer. 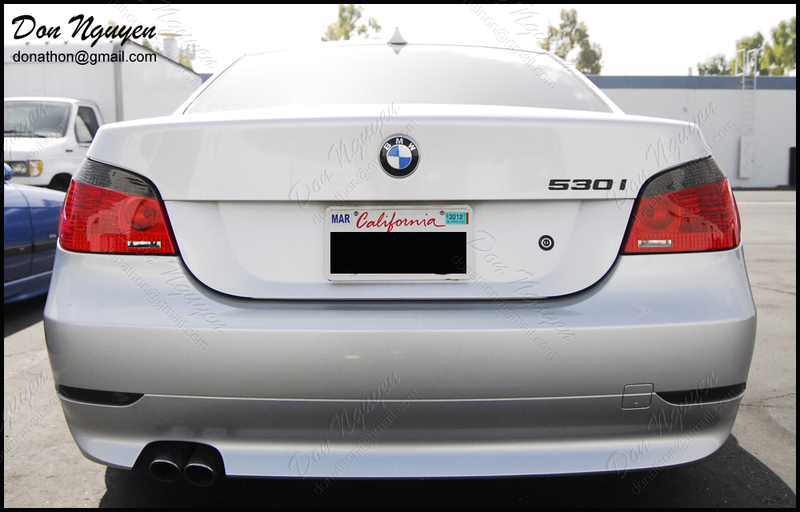 I actually tinted/smoked his tail lights with my material probably a year ago. However, he somewhat recently had someone reverse into him in a parking lot and broke/cracked his driver side tail light. So he asked me if I could redo that one side for him. Of course, I told him to drop by and we'd get it done for his car. The passenger side tail light is the original one that I had done about a year ago. I took some more detailed/close up pictures of that side more to show you guys how well the material and installation has held up. The owner of this car was also from Irvine, but drove out to me from his school out in Riverside that day to get it done.